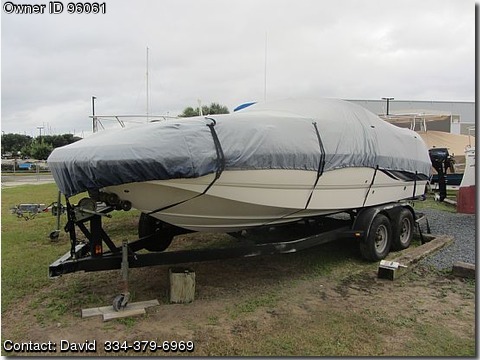 Contact the owner David @ 334-379-6969 with any questions.2004 Chaparral Sunesta 234 in Excellent condition. Vovlo Penta 5.0 GXi Duo PROP has less than 140 hours. Boat has been professionally maintained. 15 Gallon fresh water tank, enclosed head, bow and stern wash down showers. Boat comes with Four Winns trailer. 25,000 OBO.